My last post reported on the public appearance in Charlottesville of U.S. Senator Jim Webb, who answered my question about free trade issues during a press gaggle backstage at the Dickinson Auditorium on the campus of Piedmont Virginia Community College. This was not my only recent encounter with elected officials. In the past two weeks or so, I have had the opportunity to conduct interviews with several other Virginia policymakers, including Attorney General Ken Cuccinelli, State Senator Mark Obenshain, Delegate Harvey Morgan, and Delegate David Toscano. My interview with Attorney General Cuccinelli resulted in at least four articles on Examiner.com. The first addressed what, at the time, was Topic A in the national conversation, the shooting of Arizona Representative Gabrielle Giffords and several others in Tucson. Six people were killed by alleged gunman Jared Lee Loughner in that incident. In what turned out to be a supplement to an earlier interview I conducted with Maria Everett, executive director of the Virginia Freedom of Information Advisory Council, Cuccinelli spoke to me about his support for a strong FOIA statute and system in Virginia. He expressed concern about proposals to eliminate the FOIA Council. The commission suggested that the Office of the Attorney General could handle inquiries and disputes about FOIA matters, but Cuccinelli ruled that out as a realistic possibility. Cuccinelli also talked about government transparency more generally, and the need to provide access to budget information to citizens on a ready basis. It turns out that state Senator Ralph Smith has proposed a rule to make the state budget available on line for scrutiny by both legislators and citizens for at least 72 hours before either chamber of the General Assembly may vote on it. “I learned doing the transparency work” in the General Assembly, Cuccinelli said, that “there’s a logistical hurdle to the kind of transparency I’d like to see, which is immediate, on-line, from your desk, in your office” access to government information. The fourth issue is “not treating such things that we typically refer to as the ‘Kelo elements’” – such as “economic development, increasing tax base, those kinds of things" -- as rationale for a taking. The proposed amendments, Cuccinelli said, “eliminate those constitutionally as possibilities for legitimate – by ‘legitimate.’ I mean legally allowable by a court – explanations for a taking for a public use." Speaking of eminent domain abuse, I spoke to two members of the General Assembly about that issue: my own representative, Delegate David Toscano (D-57), and state Senator Mark Obenshain (R-Harrisonburg). Obenshain has his own proposal for a constitutional amendment, and Toscano opposes putting these protections in the constitution. In the same interview, Toscano spoke about his own efforts to improve government transparency through two bills that he has introduced. For his part, Senator Obenshain -- whom I interviewed last year on the topic of ABC privatization -- talked about his strong support for including property rights in the Virginia Constitution. Senator Obenshain went on the record with the Charlottesville Libertarian Examiner and spelled out what his constitutional amendment would do. Finally, I should note that last Monday I spoke to the criminal law subcommittee of the House Courts of Justice Committee in favor of HB 1443, Delegate Harvey Morgan's bill to decriminalize simple possession of marijuana. Nobody spoke against the bill but the subcommittee, chaired by Delegate Rob Bell, killed it on a voice vote without raising an argument one way or the other. Weather permitting -- forecasters indicate there may be a big storm coming up the East Coast on Tuesday and Wednesday -- I will be in Richmond next week, with opportunities to speak to other legislators. Stay tuned. Earlier today, U.S. 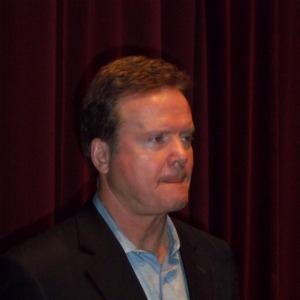 Senator Jim Webb (D-Virginia) visited the campus of Piedmont Virginia Community College near Charlottesville. Webb's stay was not long, perhaps 90 minutes in all, but he packed in several activities in the process. At about 1:00 p.m., he met with PVCC students who are utilizing the educational benefits available through the GI Bill and others who qualify for financial assistance under the "Great Expectations" program. Those eligible for GI Bill assistance are, of course, military veterans, many of whom have served in Iraq and Afghanistan. There are 102 PVCC students attending under the GI Bill. The Great Expectations program is for students who are emerging from the foster care system; there are 42 people in that category attending PVCC. Webb spoke about his principal role in creating an upgraded and expanded version of the GI Bill to fit the circumstances of a post-9/11 environment. At 1:30 p.m., Webb gave some brief remarks to an audience of about 160 people in the auditorium of the V. Earl Dickinson Building. He is introduced here by the college's president, Dr. Frank Friedman. While the TV cameras were setting up, I lobbed the first question in Senator Webb's direction. I asked him about the U.S.-South Korea Free Trade Agreement, which was signed last month by both countries in an updated version. (The Bush 43 Administration first negotiated the agreement in 2007, but it has been languishing for more than three years while both the U.S. Congress and the Korean National Assembly have delayed ratification.) Webb indicated that he is a strong supporter of the agreement. Perhaps the most politically pertinent question addressed to Senator Webb -- what does he think about a rematch with former Senator George Allen in 2012? -- was answered with a curt "no comment." Before Senator Webb arrived, I was able to interview PVCC's president, Frank Friedman, who offered his suggestion for a question that should be asked of the senator in the public forum. This Is Not Ironic -- Is It? Am I wrong to think it is entirely appropriate that the Department of Homeland Security is going to be headquartered in an insane asylum? In September, the General Services Administration (GSA) and the Department of Homeland Security (DHS) held a ceremonial groundbreaking to celebrate the creation of a DHS headquarters on the 172-acre west campus of St. Elizabeths—a National Historic Landmark and the first federally operated hospital for the insane. Best known as the "home" of Ronald Reagan's would-be assassin, John Hinckley, St. Elizabeths also confined fascist poet Ezra Pound and numerous other crazies during its "golden years." Now if only the administrators of St. Elizabeths could figure out a way to put a straitjacket on the administrators of the DHS. In what might be an interesting experiment, blogger Tom White at Virginia Right! has developed three ways of ranking the scope and influence of political blogs based in -- or focusing on -- the Old Dominion. All such attempts at rankings must be rough around the edges. White's three categories are (1) dollar value (a concept I'm not too clear on); (2) global ranking; and (3) local ranking. In each category, he makes a further division between liberal blogs and conservative blogs. I believe the dollar ranking to be the best overall measure as to the reach of a blog. I also believe the dollar values should be taken with a grain of salt as to the actual monetary value, but if taken as “points” as opposed to dollars, it looks to be a pretty good measure. Any Virginia blog ranking that fails show Not Larry Sabato and Bearing Drift at the top of the charts is, in my opinion, suspect, and fails the sanity check. These rankings are not intended to offend anyone and are simply reflective of measurements and algorithms developed by someone with no interest in Virginia Politics and completely objective in their calculations. For what it's worth, this blog (Rick Sincere News and Thoughts) has a "dollar value" of $7,665, for tenth place among all Virginia blogs, just ahead of Black Velvet Bruce Lee and just behind a six-way tie for ninth place. While my dollar value remains the same, my ranking rises to seven among conservative blogs. Top-dollar-value political blogs in Virginia are Not Larry Sabato ($210,787), Bearing Drift ($109,500), and Vivian Paige (also $109,500). On the measure called "global ranking," this blog places 37th overall among Virginia political blogs and 23rd among Virginia conservative blogs (global rank: 4,336,918). The top three in global rankings are Vivian Paige (global rank: 226,490), Bearing Drift (rank: 239,458), and Virginia Right! (rank: 292,312). In terms of "local ranking," this blog is listed 22nd among all Virginia political blogs (local ranking: 712,222) and 14th among Virginia conservative blogs. The top three political blogs by this measure are, once again, Vivian Paige (local rank: 43,245), Bearing Drift (rank: 44,538), and Virginia Right! (rank: 67,745). The full universe of blogs ranked in these three categories seems to number 73, though I might be misreading that figure. If so, the number of conservative-leaning blogs is 51 and the number of liberal-leaning blogs is 22. Although this is a static picture of Virginia's political blogosphere as of January 2, 2011, Tom White says he plans to rerun his survey on a weekly basis. Tune in to Virginia Right! next week and subsequently for results of future horse races. One of the unexpected things I learned about the evil that was alcohol Prohibition from Daniel Okrent's excellent 2010 book, Last Call: The Rise and Fall of Prohibition, was that the pro-Prohibition lobby successfully prevented Congress from doing its constitutional duty of reapportionment after the 1920 census. The Constitution requires, in Article I, Section 2, and in Amendment XIV, Section 2, that an enumeration (census) shall take place every ten years and that Congress shall apportion the number of Representatives following each enumeration. Never in American history, not even during the tumult of Civil War, had Congress disregarded the constitutional mandate, enunciated in Article I, Section 2, to reapportion itself following completion of the decennial census. In each of the three most recent opportunities -- 1890, 1900, and 1910 -- the process consumed less than nine months. As late as January 1921, [Wayne B.] Wheeler [the chief pro-Prohibition lobbyist and organizer] himself believed that reapportionment was imminent and warned the [Anti-Saloon League] faithful to "be on guard." But a threatened majority, like a threatened animal, will do what it can to preserve itself. Between 1921 and 1928, forty-two separate reapportionment bills were introduced in the House. Not one became law. As it turned out, Congress never reapportioned the House based on the 1920 census. The next reapportionment took effect in time for the 1932 elections, after the 1930 census. Prohibition, it becomes clear, worked to undermine the Constitution in fundamental ways. We do not live in such interesting times today. The number of representatives is set at 435, the same number as in 1920, and while a few states will lose representatives beginning after the 2012 elections and others will gain them, there is no movement afoot to prevent that from happening. The 2010 census was just the first stage in a process that will lead to the redesign of legislative districts all across the United States over the next two years. Districts for the U.S. House of Representatives, state legislatures, city councils, county boards of supervisors, and school boards will all be affected. In Virginia, the redistricting process is accelerated because it is one of only four states that hold their state legislative elections in odd-numbered years. Consequently, Virginia does not have a full-year's cushion in which to consider and pass a redistricting plan before it has to be in place for the next general election. In addition, because it falls under the jurisdiction of the Voting Rights Act, every aspect of the plan must be approved by the U.S. Department of Justice before it can be implemented. 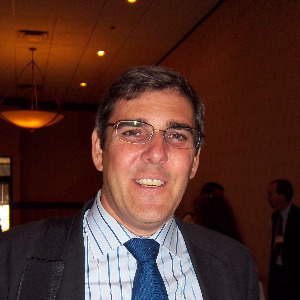 George Mason University political scientist Michael P. McDonald is an expert on reapportionment and redistricting. He is co-editor of The Marketplace of Democracy: Electoral Competition And American Politics, published in 2006 by the Brookings Institution. After McDonald spoke to local election officials from across the Commonwealth at the State Board of Elections’ annual Election Uniformity Workshop (translation: training conference) last August, I interviewed him about what Virginia voters can look forward to in the coming months. For the first time in Virginia history, redistricting in 2011 will take place under conditions of divided government. For the first time, the process will be supervised by a General Assembly in which the House of Delegates is controlled by Republicans and the state Senate is controlled by Democrats. After the 1990 census, both houses were controlled by Democrats, as was the case in every decade since Reconstruction, and after the 2000 census, both houses had Republican majorities. Moreover, in 1991, when the post-1990 redistricting took place, Virginia had a Democratic governor, L. Douglas Wilder. In 2001, Virginia had a Republican governor, Jim Gilmore. In both instances, the legislative and executive branches were unified under one political party's control. Virginia differs slightly from other states, however. Given how fast the state legislative elections are approaching (in November 2011, when 100 seats in the House of Delegates and 40 seats in the state Senate are up for election), there is some concern about whether the General Assembly can pass a redistricting plan in time to meet the needs of the electoral calendar -- which includes setting a date for primary elections, normally held in June, in districts that have not yet been designed. Can the process be completed in time? “Presumptively, yes, the answer should be yes, that we can do it in time,” McDonald noted, also pointing out that “if it is not done in time,” federal courts will intervene. Whether the redistricting process will fall victim to partisan bickering, or whether conditions of divided government actually make the process fairer and more transparent, both remain to be seen.